A landslide is defined in general terms as the downward and outward movement of earth materials. 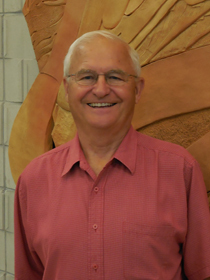 Geologic materials and the type of movement involved were used to identify types of landslides in Nebraska. This website shows five types of landslides identified--using the Varnes Classification of Slope Movements--along Nebraska roadways. 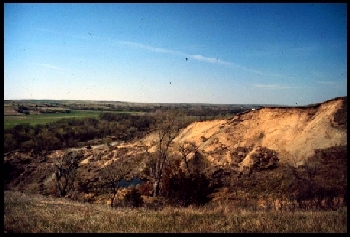 Descriptions, drawings and photography examples of five types of landslides in Nebraska. 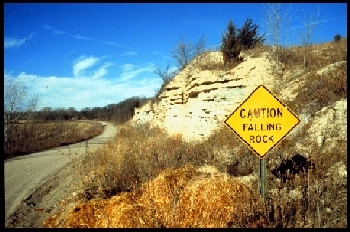 Falling Rock Sign, Thayer County, Nebraska. The road was developed in the Cretaceous-Greenhorn-Graneros formations. The road was temporarily closed by a landslide in the Spring of 1997. Highway 12, Boyd County, Nebraska. This landslide is a combination of an Earth Slump and Rock Slump. Pleistocene sand and gravels overlying Pierre Shale.